Steel Trading and Distribution is the main service offered by Standard Retail Pvt. Ltd, the flagship company of the Group. The group trades in several types of mild steel products namely, billets, slabs, plates, hot rolled – coils, plate, hot rolled – sheets, cold rolled – coils, cold rolled – sheets, PPGI - coils, sheets, electrolytic tin – plates, electrolytic tin – sheets, wire-rod coils, electro-galvanized - coils, plates etc. This specific service is offered under the brands Steel Depot and ColorPro. ColorPro is one of the brands that symbolizes the use of PPGI coils (pre-painted galvanized iron). The Group through its flagship company provides such coils to its clients who specifically demand for them. ColorPro only includes coated PPGI coils that last long due to its durability. 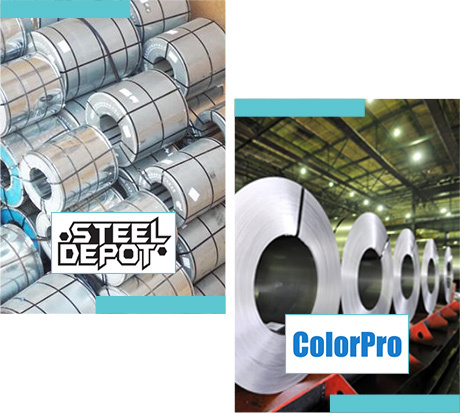 Steel Depot and ColorPro are the two main brands under which Standard Retail Pvt. Ltd. executes its Steel Trading and Distribution business.